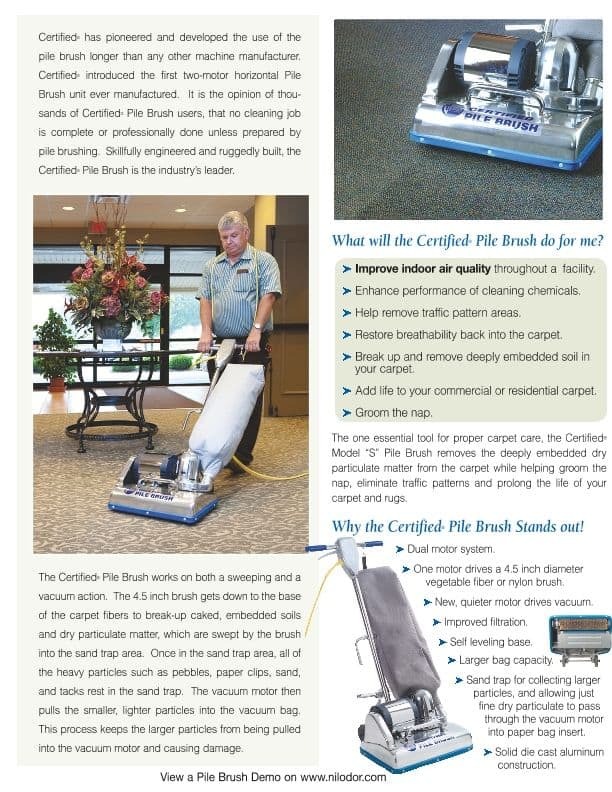 Certified Pile Brush | Natural Carpet Cleaning & More! The Certified Pile Brush otherwise known as carpet pile lifter is the strongest residential vacuum cleaner on the planet. Carpet pile lifters add life to your rugs by removing the dust a standard vacuum can’t even begin to reach. 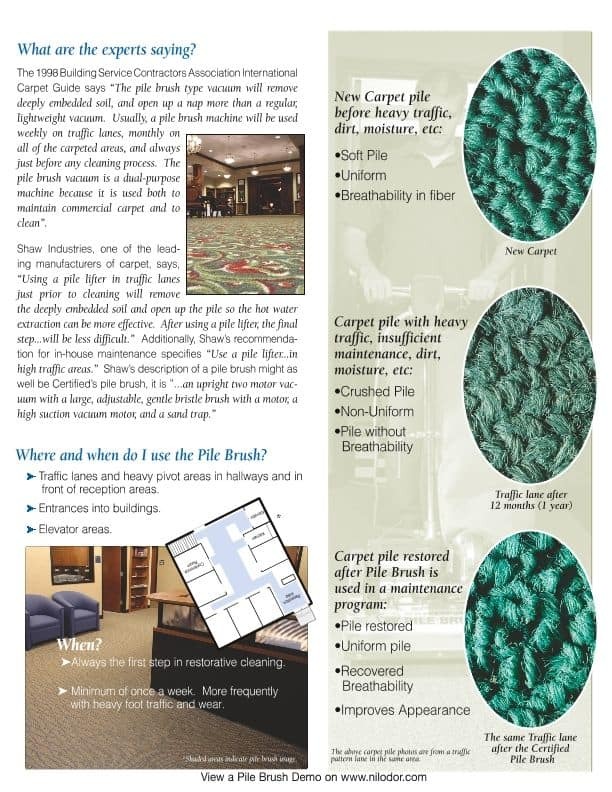 Combining a powerful sweeping and vacuuming action, it reaches the base of the carpet fibers to break-up caked, embedded soil and dry particulate matter. In some case is can restore traffic lanes and open the nap. Contact us to see if you’re approved for this special service.